Lismore is located is northeastern New South Wales, in the Northern Rivers region. It is close to the coastal towns of Byron Bay and Ballina. Lismore Local Court is located on Zadoc Street, near Wilson’s River. Lismore is around 9 hours driving from Sydney. CountryLink services are available from Sydney to Casino with a bus from Casino to Lismore.  Visit Sydney Criminal Lawyers® for Criminal & Traffic Lawyers for Lismore District Court.